Why aren’t more atheists in significant leadership positions in this world? Would it matter if there were? Only if they are interested in real solutions. Cool, potential. But 1959 — have atheists really been working for Heaven on Earth all this time? How have they went about doing this? What the hell happened? Let’s look at a few things atheists are focusing on: defending civil rights for nonbelievers; the total separation of church and state; addressing issues of the First Amendment public policy; church/state violations; bringing about change through activism to benefit the secular community. Within this, all Life is not considered, real solutions for this world are not being considered. Look at how many in this world have NO rights at the moment. Leaving the current system in place, and merely tweaking points within it, is absolutely unacceptable and is in no way an option. Church/state violations — what about all of the violations against LIFE? What about doing that which benefits ALL LIFE? What about bringing about REAL change, within and without? A completely new system that is Best For All Life, the Equal Money System, wherein all have equal rights, violations against Life cease to exist, all Life is actually benefited; that is a real solution — all Life is considered, as one, as equal. Wouldn’t feel the need to separate anything then; besides, religion will end with Equal Money. Look at what actually becomes possible within such a system. Look at, for instance, how poverty immediately ends, war ends, how science will change. See, paragraph 2 (the above quote) becomes a reality; real ‘loving thy neighbor as thyself’, real ‘Heaven on Earth’. Whether religious or atheist, or anything else, look: You are HUMAN; accordingly, you require to sort yourself out, to re-educate yourself, and to change yourself as who you are into a human being that is Best For All. The same points, for instance, that were jotted down in my previous post with regards to what the belief in an afterlife-Heaven reveals about humanity — abdication of self-responsibility, self-interest, acceptance and allowance of abuse, and so on — it applies here as well, with atheists. It is a human problem — and the human is the problem. Look at what exists here as a result of humanity. Yet, as humanity — as who did it, who allowed it, accepted it, who did nothing to stop it, as the root of the problems in this world — we stop, we stand up, we correct ourselves, and we actually change ourselves in a way where we become the actual living solution. We become the human that this world actually requires and deserves — self-responsible, self-honest, a human that takes action, always, that actually cares, a human that is fearless and relentless in establishing that which is Best For ALL Life as ourselves and this world, a human that is unstoppable and immovable in this task, incorruptible, uncompromising, a human who has taken on their potential of abuse, who has taken on their ego and can work with anyone and anything, who always does what is Best For All Life in all ways as it has actually become who they are, with absolute self-discipline, dedication, self-stability that remains constant even in an increasingly unstable world, and solid self-trust where one can actually trust themselves and be trusted to always do what is Best For All Life, no matter what. A real leader. This world requires real leaders — as many as possible — who stand as a living example for humanity while each one wills themselves to stand up and become a real leader themselves, as equals, equally taking self-responsibility for themselves and this world. Atheism is referred to as a “life stance”. Take a real life stance — stand up for LIFE. 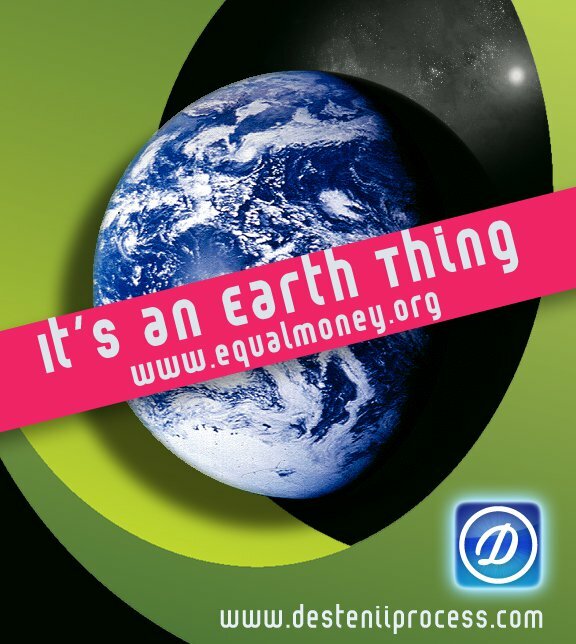 Join the Equal Money & Equal Life direction, where we’ll enter the political arena as real leaders, making a world where ALL LIFE is equally honored and supported, ensuring ALL live a dignified life from birth to death and that the Earth is actually cared for. We will not fail to make the world a better place. Time to stand up for Life. If you’re unwilling to do so: don’t claim to have the answers, you should keep your opinions to yourself; the knowledge you may have is rendered useless through your inaction, refusal to take self-responsibility for what exists here, and failure to consider all Life. Is the afterlife-Heaven a “fairy story”? The idea of going to an afterlife-Heaven as a reward for apparently being a “good person” by abiding by what’s presented as what “God” wants of you — this is undeniably similar to, for instance, the fairytale of Santa; getting your presents as a reward for being a “good boy/girl” by abiding by what’s presented as what “Santa” wants of you. You’ve got your “nice” list / “Heaven” list and your “naughty” list / “Hell” list. “Santa” / “God” is always watching you, they conveniently live in places out of your ‘reach’, they both apparently exist forever as these positions of authority figures, and are typically depicted as old white men with big white beards. The connections keep going. Time to get real. Yes, humanity is afraid of the ‘dark’. Time to rid ourselves of this fear and see what is possible. An afterlife / hereafter is irrelevant — we are HERE. HERE is relevant, not the “here-after”. LIFE is relevant, not the “after-life”. What matters is this physical reality. It shows desire to avoid and escape reality, attraction to distraction, fear of facing self and this reality, a preference within humanity for fantasy and illusion over what is real. The idea that one goes to a “Heaven” when they die where they apparently exist in a blissful state forevermore while those on Earth continue to suffer, while the state of this world just continues, and nothing being done about it — this is completely unacceptable. It exhibits absolute self-interest and separation. Within the different stories about what “Heaven” consists of, what is perceived as “pleasurable” is shown; and the points that provide these pleasures typically consist of abuse. The belief in an afterlife-Heaven promotes waiting, inaction, abdication of self-responsibility for what exists in this world. It promotes not only acceptance of abuse, but the derivement of pleasure from it. The belief in an afterlife-Heaven does nothing but add to the problems in this world; it actually contributes to Hell on Earth. These points (postponement, self-interest, inaction, not taking self-responsibility, acceptance of abuse, avoidance, et cetera) are required to be taken apart and taken on in a way that they absolutely cease to exist within ourselves. 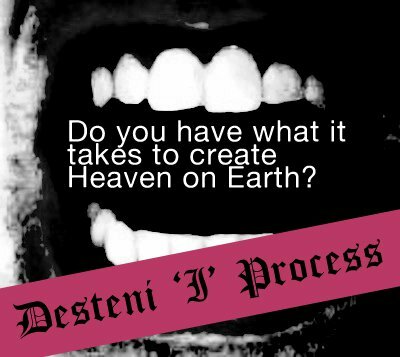 Desteni I Process shows how this can be done. Within Desteni I Process, we face the reality of ourselves, we take self-responsibility for what we have become, we do what is required to actually correct and change ourselves, aligning ourselves with that which is Best For All Life. Now, in dropping those aspects of “Heaven,” removing the religious aspects of “Heaven,” and looking at it simply as ‘an existence devoid of suffering,’ it becomes relevant, as this world is full of suffering. In that way, Heaven is possible and would benefit everyone — it would have to be real, and it would have to not consist of any form of abuse. Suffering is a result of abuse; you cannot have an existence in fact devoid of suffering without effectively eliminating abuse. (See my previous blog posts for more on this point.) Thus, Heaven here on Earth as a Heaven that is Best For All Life, wherein EVERYONE has what’s required, lives a dignified life, from birth to death. A world without abuse; and thus, a world without suffering. A world where Life thrives. 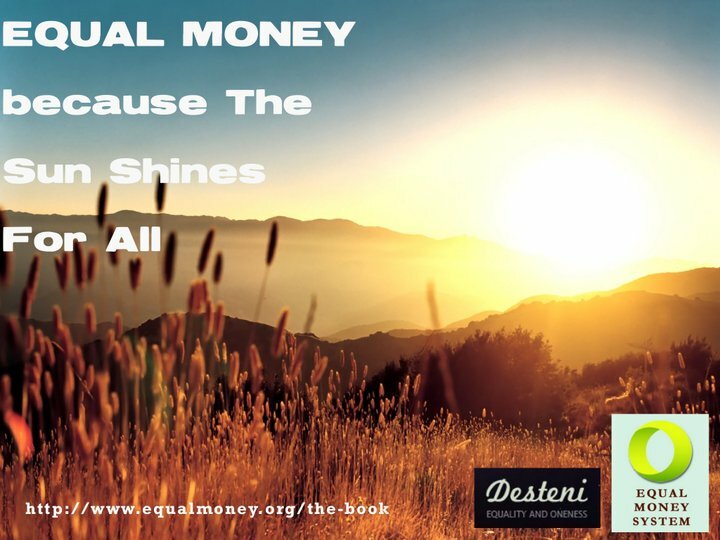 The Equal Money System and Desteni I Process make it possible to have Heaven on Earth. Our actions have value when we value Life within and through our actions. When we do what is Best For All Life, that is “the greatest value of our action”. So, here’s to the end of Heaven as a religious ‘fairy-story’ for the fearful and the bringing of a real Heaven, here on Earth, in the physical, where all Life is honored, where equality is actually applied and lived, where ALL fearlessly do what is BEST FOR ALL LIFE.